Another Vietnamese restaurant will open in downtown Saigon early this year. 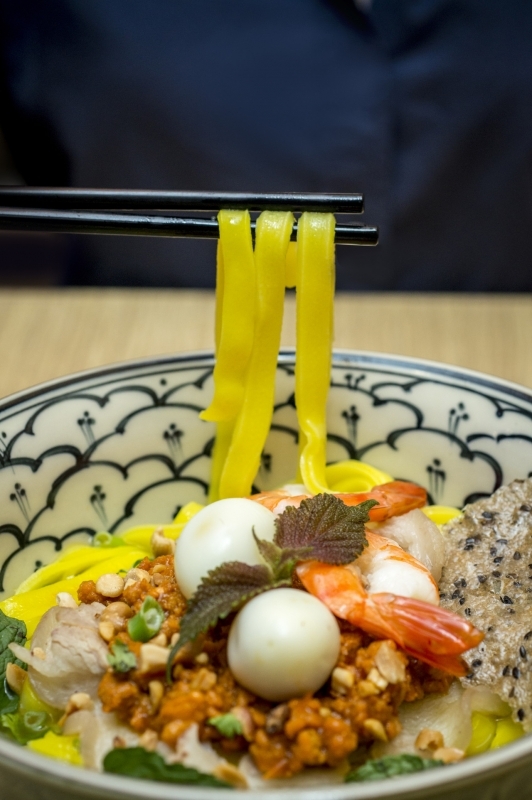 That’s hardly a story, but beyond the steaming bowls of noodles will be a tourist hotspot in the making, a recruitment mecca for five star hotels, and 18 stories of hope salvaged from desperate lives. 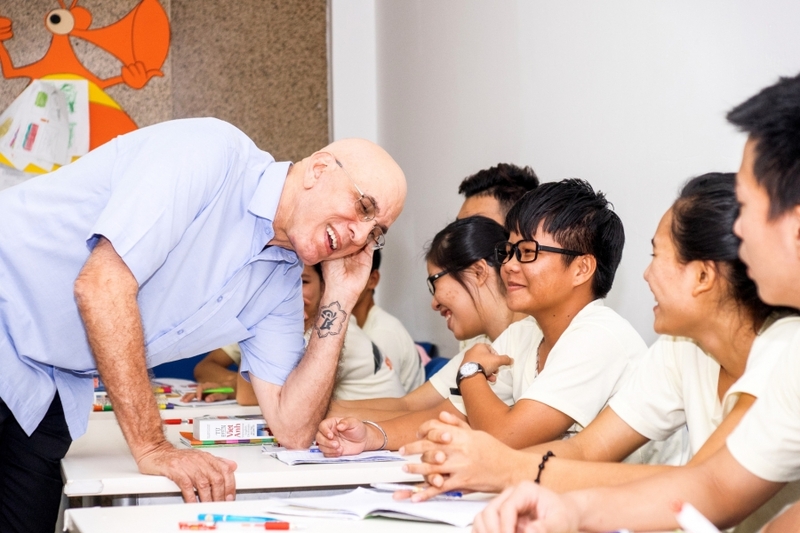 STREETS International, a charity which trains poor youngsters, some orphaned, homeless, trafficked, for careers in the hospitality sector, has expanded its operations from Hoi An to Saigon. Although the group has yet to decide on a downtown address for the restaurant, the trainees are being housed, fed and educated as part of an 18-month program. The expansion is a significant milestone for Neal, a native New Yorker who has owned restaurants, lectured at colleges and worked for hotel groups such as Le Meridien, Sheraton and the Walt Disney Company. On his first visit to Saigon in 1999 he was moved to witness street children begging for food. In his travels across the world he had seen ‘street kitchens’—projects that pull youngsters out of social deprivation through restaurant work. While admiring the intentions of these charities, he realized that an even more gutsy approach could see trainees swapping shifts in local eateries for careers in world-class hotels. Streets received 120 applications for the 18 spaces in Saigon, and this is likely to increase for ensuing programs as the restaurant establishes itself. Trainees are aged between 16 and 22, drafted from a two-month selection process. “The one job I like to give away, for which I’ve developed a good team,” adds Neal. 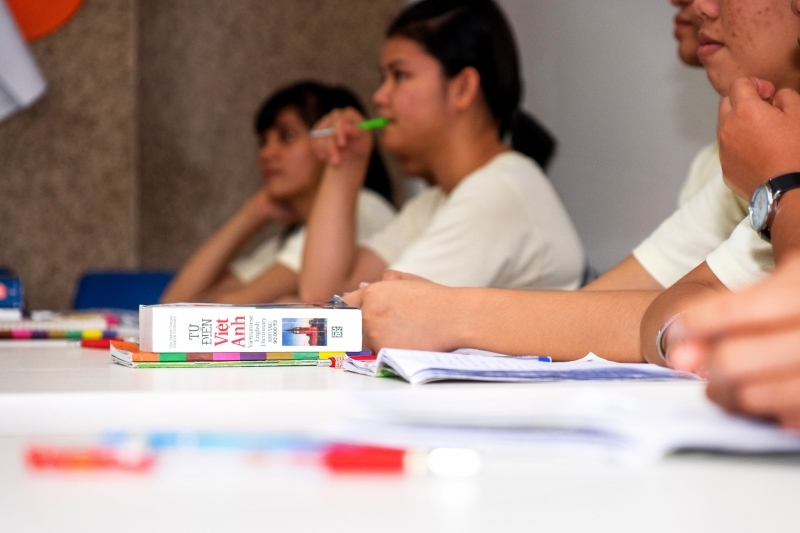 Local NGOs usually suggest potential trainees to Streets, whose staff interview the candidates at least twice, and visit their homes, sometimes in the form of orphanages or alleys. “We did an outreach to the LGBT community and we have several kids who have come in from referrals. Those kids were really ostracized, living on the streets, getting a little support here and there for a safe night of sleep. I’m just delighted to have them in the program. “Imagine being a 16-year-old transgender kid in London or New York, and how challenging and frightening that must be, and now put that kid in the countryside in Vietnam. It’s horrifying. I don’t think we can even understand just how difficult that must be. “When we met some of those kids there was no place left [for them] but the streets. At least on the streets in a big city like Saigon they’ll find others that are similar. That doesn’t mean that they are not getting abused and beat up, but they’re not as alone as they might be in a more isolated area. The students acquire culinary and hospitality skills that are the envy of local colleges. They go on to work with resorts such as the InterContinental Danang and Park Hyatt Saigon. But perhaps most importantly their success and income ripples across their families: a young sibling whose education was non-existent can buy books and attend school; an older relative whose health was at a nadir can afford medical care. A 16-year-old student who is taking part in the inaugural Saigon class comes from a family of subsistence farmers in the central highlands of Dak Lak. Barely able to survive, his family moved from the countryside to a remote mountainous area and, as conditions worsened, the teenager left to seek work in the city. He was working the odd menial job and sleeping in parks when a local NGO referred him to Streets. “I wanted to become a cook so badly because that means I will always have some food to eat,” he says, according to quotes provided by Streets. “I had so many fears and uncertainty before my first day coming to Streets. “What will happen to me there? What if the other trainees bully me? How can I study well all the new things? It turned out the other trainees were quickly more than classmates, they cared for me and helped me with everything. I believe now that I will complete my journey at Streets and be able to do much more with my life in the future. One of his classmates, an 18-year-old girl from an ethnic minority village near Buon Me Thuot, was pulled out of poverty by a religious charity that gave her housing and education. After finishing high school, the girl’s possibilities were bleak until she applied for the program. City life presents more of a distraction for the students than the bucolic surroundings of Hoi An, and transporting them from dormitory to restaurant or anywhere else will take much longer on the fume choked roads. “Probably the single biggest challenge here is the extraordinary expense in comparison to Hoi An.” Neal explains that in both locations they rent the same sized housing dormitory, however the property in the city is “easily three times more expensive,” while the same staff position has a salary nearly three times higher. Passing tourists and locals are going to help balance the costs, tasting dishes from trainees whose careers are destined for the best hotels and restaurants in Asia. 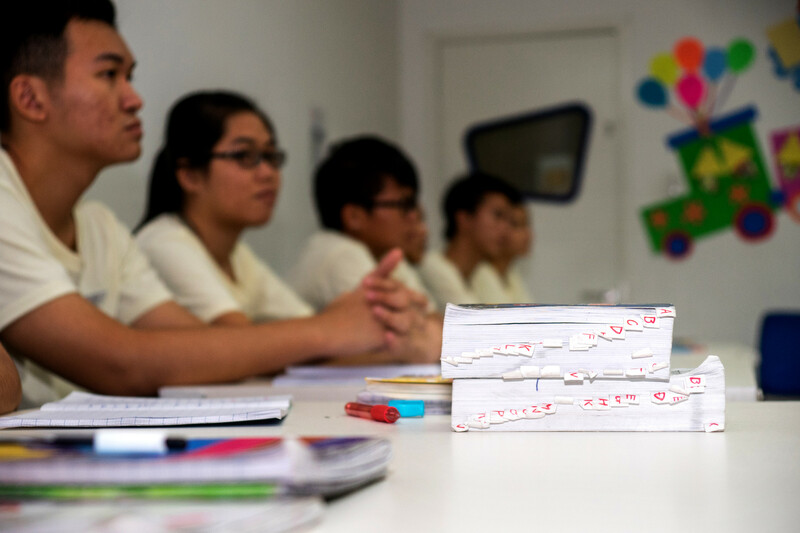 Employers of previous trainees have told Neal that his ‘kids’ are better trained and have stronger English than many students from colleges and vocational schools. Vitally, they are highly motivated having experienced the hard life. “If you take a person who has never had three meals a day to eat in their life or a safe, clean place to sleep and for the first time they have it at Streets and they recognize if they work hard and continue to do a good job with their work and career they can continue [this lifestyle], that’s very motivating to staying at work and doing a good job. The ambition that Neal aims to instill in the trainees lies at the heart of Streets. Not only will it help trainees in Vietnam, says Neal, but possibly India, even Israel, embracing poor Israelis and Palestinians, although these are all conversations and no contracts have been signed yet. For now, Streets’s goal is that its recipe of ethical tourism and delicious food will go down as well in Saigon as it has in Hoi An. The diners are treated to authentic cuisine, the trainees are offered brighter futures; even the hotels win, with a pick of the finest hospitality students in Vietnam. Seemingly, the only losers are the nearby restaurants, which will need to up their game.